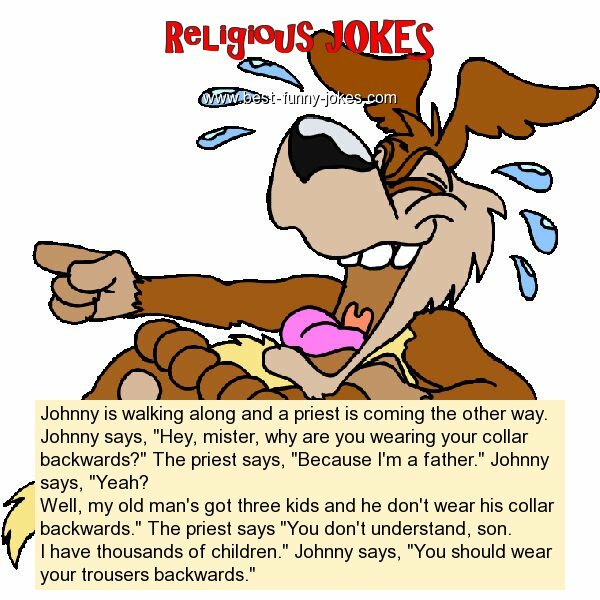 Johnny is walking along and a priest is coming the other way. Johnny says, "Hey, mister, why are you wearing your collar backwards?" The priest says, "Because I'm a father." Johnny says, "Yeah? Well, my old man's got three kids and he don't wear his collar backwards." The priest says "You don't understand, son. I have thousands of children." Johnny says, "You should wear your trousers backwards."